A serious injury due to another person or party's negligence calls for an experienced legal advocate. The hardworking, aggressive attorneys at Gary Martin Hays & Associates are prepared to take on the big insurance companies for you and demand the maximum compensation you deserve. We exclusively represent people who have been injured in Georgia and families who have lost loved ones in wrongful deaths. Our team of attorneys is dedicated to helping people obtain the financial compensation they deserve for their losses. Please contact our greater Atlanta office for a free and confidential consultation about your case. There is no obligation and you don't pay us unless you win. 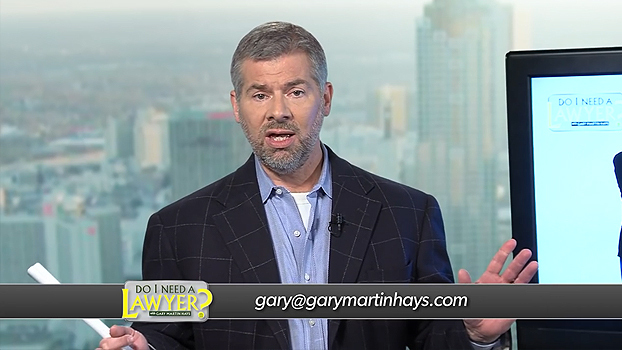 In this segment of "Do I Need a Lawyer," Gary Martin Hays talks about what you can expect to happen when you hire our firm and what are some benefits of working with an attorney if you have been injured.